Welcome to the Gronlif’s Magic Forest! Johannes “Jojo” Koehler just finished uploading the rest of his pictures of his incredible Magic Forest. Its definitely been worth the wait. Go check it out. Now! Check out Jojo’s Flickr account as well. 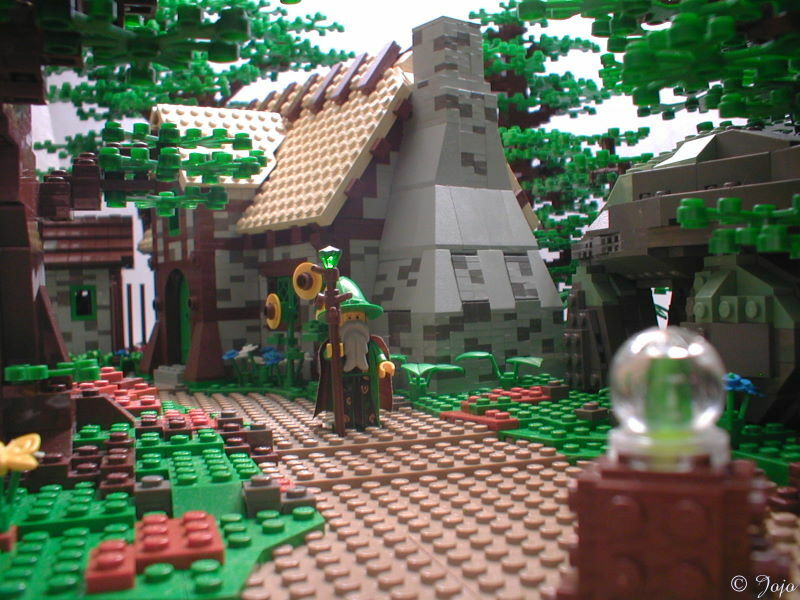 What makes this MOC so great is the fact that there are so many trees. Creates a realistic landscape. This thing’s got so many brilliant little details it makes my head spin. Does Jojo have a flickr account, ’cause I totally need to fave this! @VarietyAlleyCat – Its supposed to be out of place. ;) Jojo puts a number of things like that in each of his wizard’s homes. @Mainman – Jojo does have a Flickr account. Enjoy! Anybody else notice what I can only fathom to be Smurfs living about the mushrooms? @Tyelle – Yes, I would have to say those are Smurfs. :) Thanks for pointing those out, as I missed them.